In-Home Care (also referred to as home care, domiciliary care, or social care) is supportive care provided in the home. In-Home Care (also referred to as home care, domiciliary care, or social care) is supportive care provided in the home. Care may be provided by licensed healthcare professionals who provide medical treatment needs or by professional caregivers who provide daily assistance to ensure the activities of daily living (ADLs) are met. 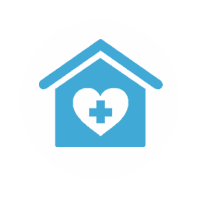 In-home medical care is often and more accurately referred to as home health care or formal care. Often, the term home health care is used to distinguish it from non-medical care, custodial care, or private-duty care which refers to assistance and services provided by people who are not nurses, doctors, or other licensed medical personnel. For terminally ill patients, In-Home Care may include hospice care. For patients recovering from surgery or illness, In-Home Care may include rehabilitative therapies. The largest segment of In-Home Care consists of licensed and unlicensed non-medical personnel, including caregivers who assist the individual. Care assistants may help the individual with daily tasks such as bathing, eating, cleaning the home and preparing meals. Caregivers work to support the needs of individuals who require such assistance. These services help the client to stay at home versus living in a facility. Non-medical home care is paid for by the individual or family. The term “private-duty” refers to the private pay nature of these relationships. Home care (non-medical) has traditionally been privately funded as opposed to home health care which is task-based and government or insurance funded. These traditional differences In-Home Care services are changing as the average age of the population has risen. Individuals typically desire to remain independent and use home care services to maintain their existing lifestyle. Some Government and Insurance agencies are beginning to fund this level of care as an alternative to facility care. In-Home Care is often a lower cost solution to long-term care facilities. A1 Senior Care Advisors are able to connect you and your family with the best and most appropriate In-Home Care Agency that will meet your particular needs. For a free assessment, call Now 425-324-5592 or email us at A1CareAdvisors@gmail.com.